First off – I got to try a lot of flavors of this Stetch Island Fruit Co. fruit leather I mentioned earlier. I only go to try raspberry flavor before and now I can vouch for the taste of the rest of these. I like them all! 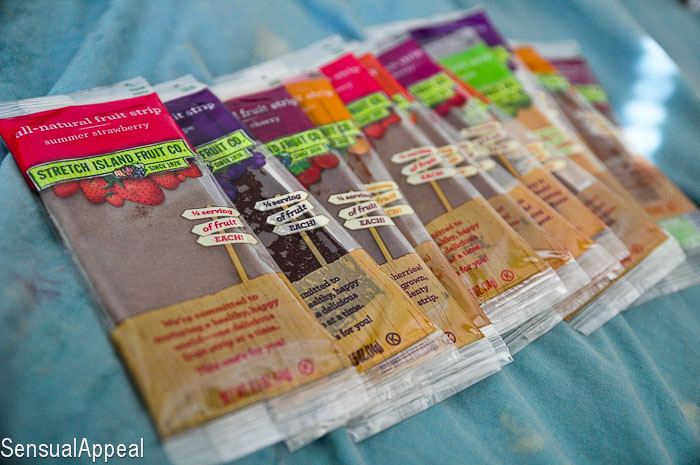 They are less than 50 calories each and they provide you with just the right amount of sweetness without none of the artificial junk that comes with fruit roll ups or other commercial fruit leathers. There is no added sugars (because fruit as sweet as they are, duh!) or artificial gunk, therefore these are 100% all natural. They also contain half a serving of fruit in each. 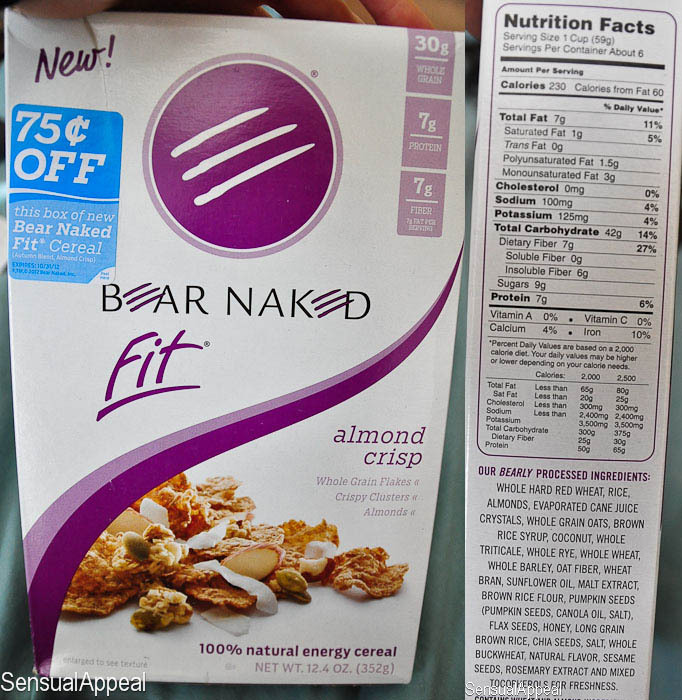 I’ve only tried Bear Naked granola once before. They were giving out small sample packs of the granola at my old gym. I loved the taste of this granola, it was yummy – so I was excited to try more products from this company. 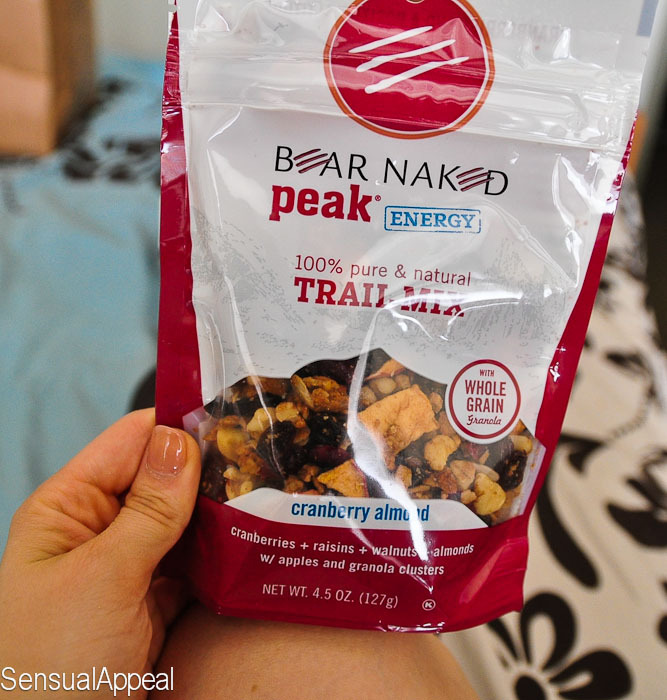 Bear Naked is today’s leading adventure food and lifestyle company and it offers a full line of all-natural granolas, cookies, cereals and trail mixes. Launched in 2002, the company is passionate about creating great-tasting, natural foods to fit today’s active, on-the-go lifestyle and is best known for its signature soft-baked granola made from 100% Pure and Natural ingredients. The vanilla almond crunch granola was yummy. I enjoyed it as a topping on my yogurt (surprise, surprise ;P ) It has just the right amount of sweetness; I just have to remember to be careful with it and only put a little bit because one serving (1/4 cup) is 120 calories. Kinda high for me but it’s a nice splurge if I can afford it with my calorie budget for the day. I also got to try their trail mix which I liked as well – it included a variety of dried fruit, walnuts, almonds, and granola clusters. Again, gotta be careful with this one because it packs 140 calories per serving (1/4 cup). The main ingredient are dried cranberries which are unfortunately with some added sugars, so this trail mix will probably not make a re-appearance in my pantry. It tasted really good though, as you would expect from a trail mix like that. I enjoyed the Fit cereal almond crisp with kefir. The flakes are pretty big and very crunchy and I personally enjoyed crushing them up before placing them into my kefir to make the pieces smaller and easier for me to eat. 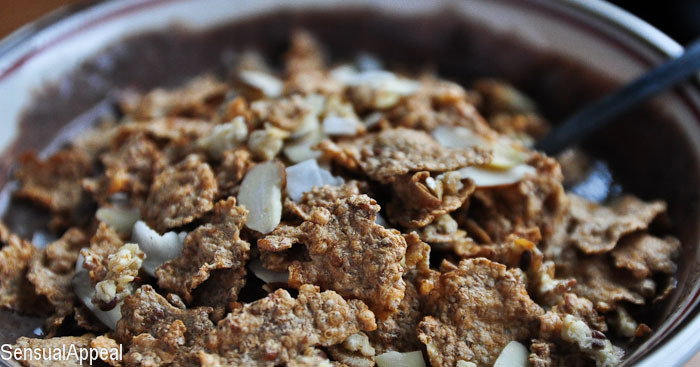 This cereal packs 7g protein per serving (1 cup) but also 230 calories. I only would use 1/2 a cup to compensate for the higher calorie content. These cookies are huge! 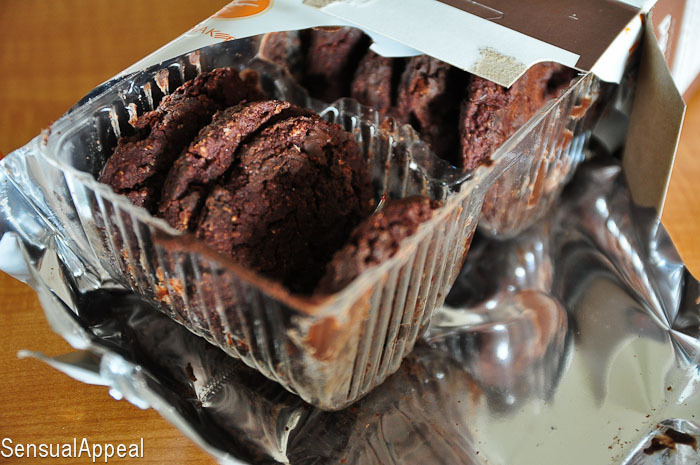 They are thick and deliciously soft and OH SO rich and deep in dark chocolatey flavor. Oh my gosh, I nearly melted when I tried this one. It was simply one of the best packaged cookies I have ever had. Ahhh….. chocolate…. Wow. So much goodness going on in this post. Sorry for making you salivate and making your wallets cry, in advance, I apologize. But seriously, if you’re gonna try any of these make SURE you try these cookies. Like, seriously. You will not be disappointed. very true, lots of drooling! I love those fruit snacks too, my favorite for a quick sugar kick. 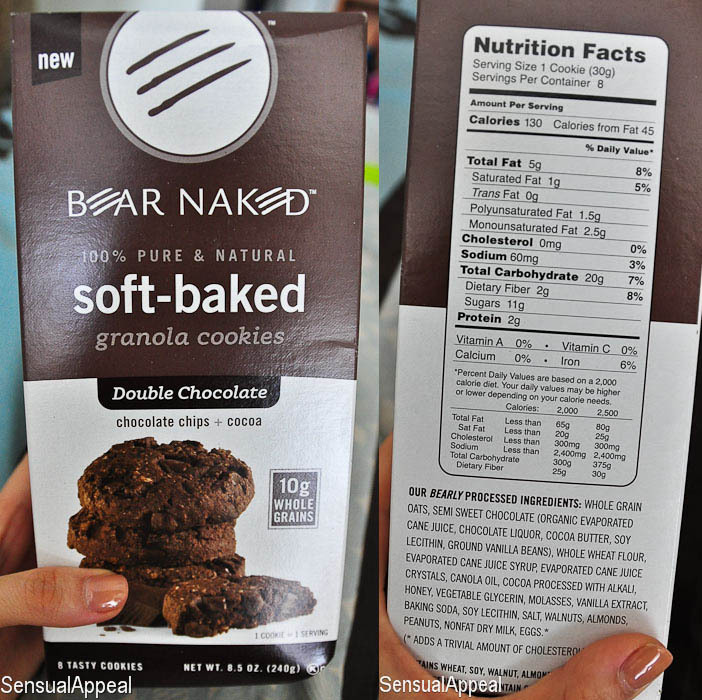 I love Bear Naked products – and I had no idea they made cereal, I definitely need to check that one out! Yum! I always see Bare Naked in the store, but haven’t tried it yet. I might indulge myself and buy a bag of granola. I’ll have to hunt down those fruit leathers because I’m definitely a lover of fruit leathers. 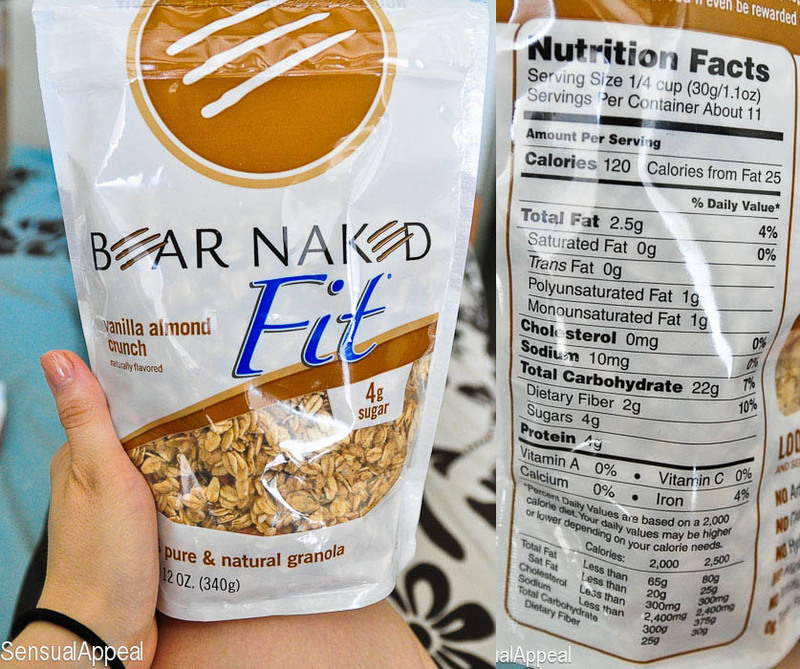 I love both of these products, but I didn’t know Bear Naked did things other than granola! Did they send you these products to review or are you doing the review on your own? They sent me these things to try out, I didn’t know they had things other than granola too. It’s a new product, the whole Fit theme with the cereals and stuff. I’m totally buying the cookies though.